The chipper was based on a Mercedes Arocs 6x6 chassis. 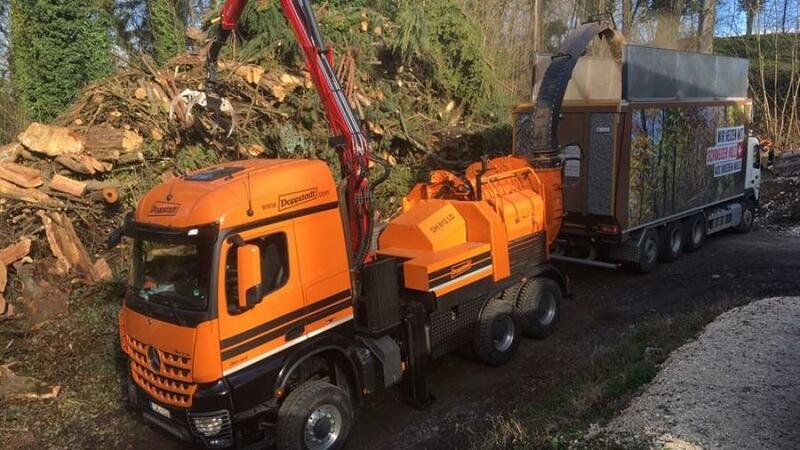 The DH 812 LD mobile chipper has been on a roadshow throughout Switzerland. 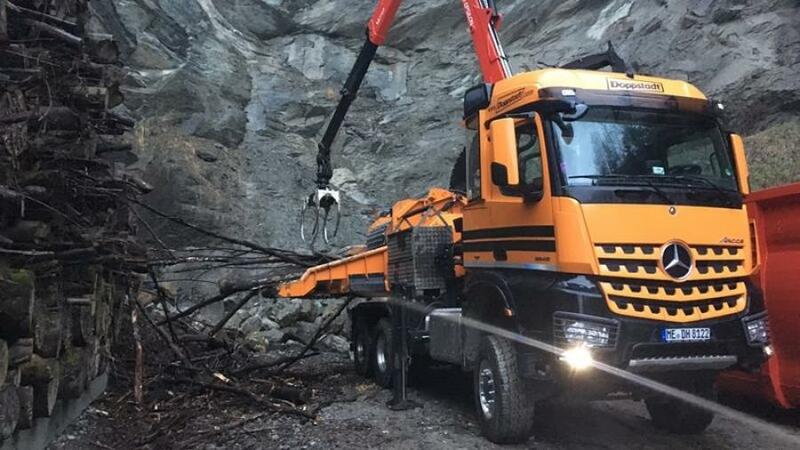 Together with their sales partner, Contena-Ochsner AG, the chipper conquered the Swiss mountains and gained the respect of numerous contractors in the forestry industry. In the course of a week, the specialist chipper sales team and employees of Contena-Ochsner AG headed for timer storage facilities in Switzerland and presented the DH 812 LD chipper in action. The chipper, based on a Mercedes Arocs 6x6 chassis, impressed the viewers on site with its excellent output and cleverly thoughtout mechanical construction. "We produced small wood chips for single personal furnaces and large wood chips for large-scale power stations", reported Marco Hillbrand, who leads our in-house technical chipper sales. "The DH 812 LD was just as adept in handling strong trunk wood as bulky branches." The technically informed public were also positively impressed by the chipper's quiet operation and evenness, resulting from the high oscillating weight of the chipper drum and the intelligent control system. The feedback from the public said: "That's much better than any other machines on the market!" Future tours are already being planned.